Same images every time but different words, what a stupid comic right? Wrong. 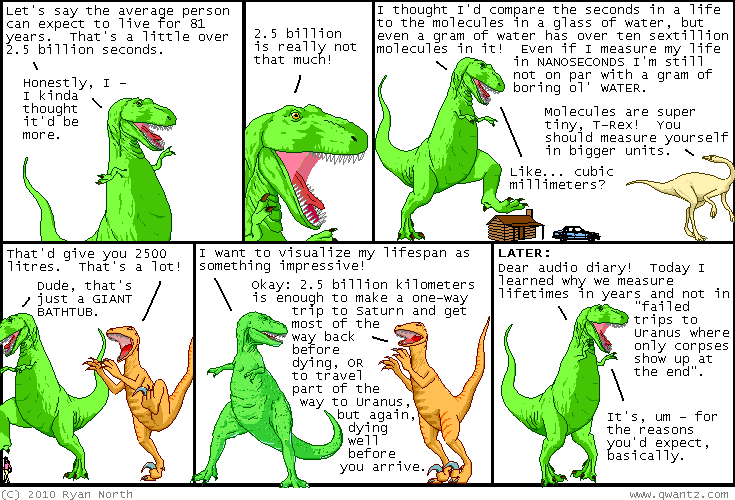 Dinosaur Comics are super awesome. This particular one is awesome in a Long Now way. Enjoy.